WAVES traveled to Hawaii aboard a Naval transport ship. The voyage took a couple of weeks. 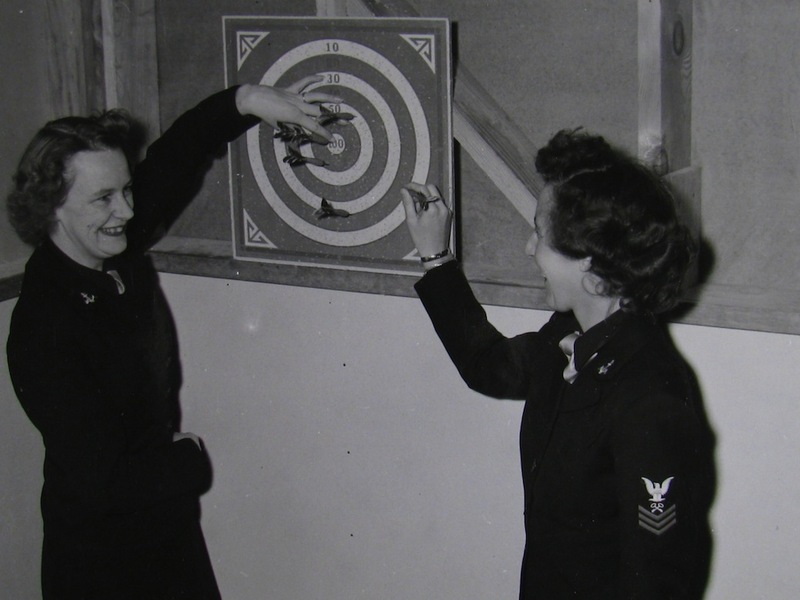 This photograph shows two WAVES playing darts while waiting for their ship to Hawaii to emark, circa January 1945.